Many growers opt for autoflowering strains because of their ease of growth and rapid growing times, often making the trade off for lower THC levels. But this doesn't always have to be the case. These autos go against the grain and have high levels of THC. Autoflowering strains revolutionised the cannabis world when they arrived on the scene. Their genetics originate from colder and darker regions of the world, and this environment forced them to adapt in ways that were essential for their survival, including initiating flowering independently of light cycles. They also developed very short growth cycles to make the most of the short summer months. These traits make them popular among many growers. Rapid growth times mean minimal time between planting seeds and harvesting a personal stash. Plus, the ability to flower regardless of light cycle they receive makes autoflowering strains very simple to grow, thus extremely beginner friendly. Autoflowering strains might seem too good to be true. However, growing them can sometimes be a trade-off between ease of growth and potency or yields. Yields aren’t as big as of many photoperiod strains, but this can also be an advantage if you’re dealing with a small growing space. Additionally, many autoflowering strains have lower THC levels. But it’s not all bad news. Breeders have made it their mission to create autoflowering strains with higher THC levels. Here are the top 5 Zambeza autoflowering strains with the highest THC content. Amnesia Haze XL Autoflowering is a structurally small strain that packs a psychoactive punch. She’s a sativa-dominant hybrid derived from parent strains Amnesia Haze XL and a cannabis ruderalis strain. 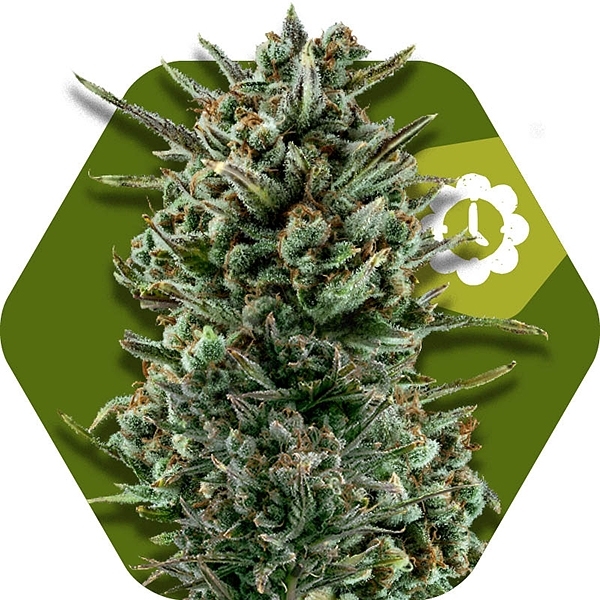 Amnesia Haze genetics are some of the finest circulating within the cannabis world and have been traced back through a lineage of landrace strains from South Asia and Jamaica. Infusing these genes with autoflowering genetics has made them far more appealing to beginner growers and those looking for fast turn overs. The energetic and cerebral high is reminiscent of the original strain. A few tokes in and you will feel the electrifying effects on the mind that result in enhanced focus and brighter colours. One joint later and creative juices are flowing, and conversations become a lot more fast-paced and philosophical than usual. This high goes hand in hand with a pleasant terpene profile of lemon, citrus, and spice. THC levels of 16% provide a clear-headed high, and one that is more potent than many autoflowering varieties. Amnesia Haze XL Autoflowering blooms into gorgeous flowers that are tall and thick, and loaded with trichomes. She appears to develop into an almost entirely different plant depending on the setting she is cultivated in. Indoor plants maintain a small stature and are ideal for growers seeking to keep things low key. They grow to small heights of 60–90cm and can easily be cultivated in modified cupboards and boxes. 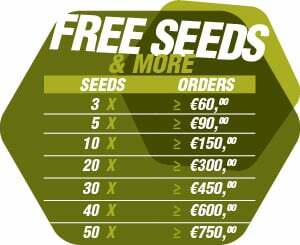 Indoor plants yield 350–400g/m² and are ready to harvest within only 70–85 days from seed. Outdoors, when exposed to more space, plants can grow to large heights of 120cm. They produce 120–175g per plant. Jack The Ripper Autoflowering is no average autoflowering variety. With THC levels of 17%, she offers more of a potent psychoactive experience than other autos. This potency was achieved by breeding parent strains Jack Herer with a cannabis ruderalis variety. The original Jack Herer has some history behind her, and was named after the legendary author and cannabis activist, also known as the Emperor of Hemp. She was bred in Netherlands during the 1990s, and was even recognised as a medical strain by pharmacies. This genetic fusion turned out a sativa-dominant strain that produces a euphoric and uplifting high. She’s the one to blaze on those dark rainy days when moods are low, serving as a bright ray of sunshine that brings a smile to the face and soothes the soul. 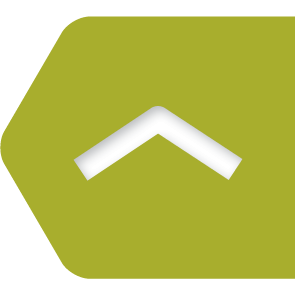 The terpene profile combines contrasting, yet complementing flavours of bitter, sweet, and sour. Jack The Ripper Autoflowering produces very similar outcomes when cultivated both in a grow room and outside under the sun and in the soil. Indoor plants grow to stealthy heights of 60–90cm and produce good yields of 300–350g/m². Plants grown outdoors are resilient and prosper in varying conditions, with a hardy and durable nature that make them good choices for guerrilla grows. They’ll produce modest yields of between 75–130g per plant. Jack The Ripper Autoflowering will erupt from seed to harvest in 60–70 days. As well as offering high THC levels of 16%, OG Bubble Gum Autoflowering provides a pleasant sensory experience thanks to her highly aromatic flowers. Loading her processed flowers into a joint or blunt and igniting it will release waves of sweetness, spice, and berries. Taking a hit will wrap the tongue in flavours of fruit and bubble-gum. This tasty auto is ideal for cannabis edibles and extracts. Using her to create cannabutter will add hits of sweetness to brownies and other deserts. As an indica-dominant variety her high is on the stoning side, evoking that happy and relaxed state. OG Bubble Gum Autoflowering isn’t a fussy strain and allows room for error, making her a great entry strain for beginners. Indoor plants maintain height of 60–90cm throughout the entire grow cycle, making her easy to keep private and out of sight of unwanted eyes. Indoor plants are highly productive for their size and yield 350–400g/m². Plants grown outside produce good yields of 100–175g per plant and reach up to 100cm. You won’t be waiting long to smoke these flowers, harvest occurs only 50–60 days after seeds have germinated. Misty Gorilla Autoflowering stems from the vast array of Gorilla genetics, a network that stems from the original parent Gorilla Glue. Gorilla Glue is known for her happy and relaxing highs and rich tastes of earth and pine. Misty Gorilla Autoflowering inherited some of these traits and is the lovechild of parents Gorilla, Cookies, and a cannabis ruderalis strain. This auto hybrid has indica effects. A few hits from a vape or joint will induce a high that narrows and reddens the eyes, relaxes the muscles, and takes the edge off pain. She makes a perfect smoke in bed, right before getting comfy and watching a film to drop off to. What sets this lady apart from the majority of auto varieties is a THC content of approximately 20%, resulting in a high that sets in fast and lasts for hours. When grown indoors, Misty Gorilla Autoflowering grows to a maximum height of 120cm and produces impressive yields of 400g/m². Outdoor plants won’t grow much taller, and will peak at heights of 140cm whilst providing yields of 170g per plant. The original Super Silver Haze is an award winning strain that saw great success at the High Times Cannabis Cup during the late 1990s. Super Silver Haze Autoflowering features these prized genetics along with those stemming from cannabis ruderalis. The autoflowering version of Super Silver Haze is sativa-dominant, features a powerful THC level of 17%, and produces an uplifting and creative high. Much like a strong shot of espresso or a can of energy drink, Super Silver Haze Autoflowering has a stimulating effect that enhances attention span and can help to plough through long periods of work in a productive manner. This sought-after effect is paired with pleasant tastes of sweetness, spice, and citrus. Super Silver Haze Autoflowering is a moderately productive strain, it grows to heights of 80–110cm indoors and offer yields of up to 300g/m² that are available after 70–85 days after placing seeds in soil. Outdoor plants produce bounties of 120–170g per plant.